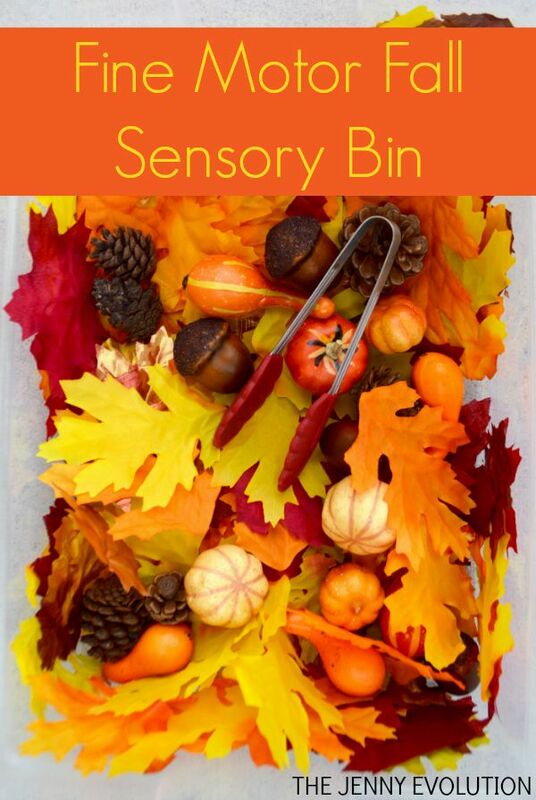 The Fall Sensory Play Series is a series of fall and autumn sensory activities, crafts and ideas you can do with your kids during the season. 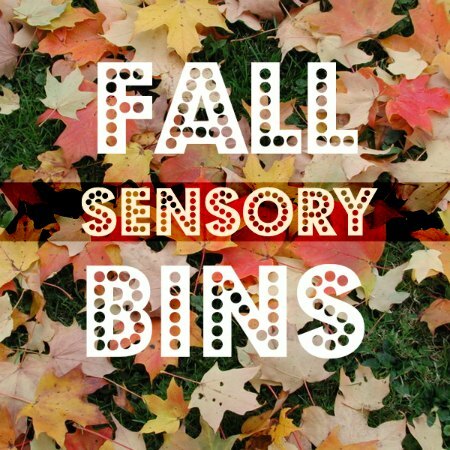 I encourage you to follow us all fall and visit this Fall Sensory Play landing page to get the latest sensory fun for your kiddos. 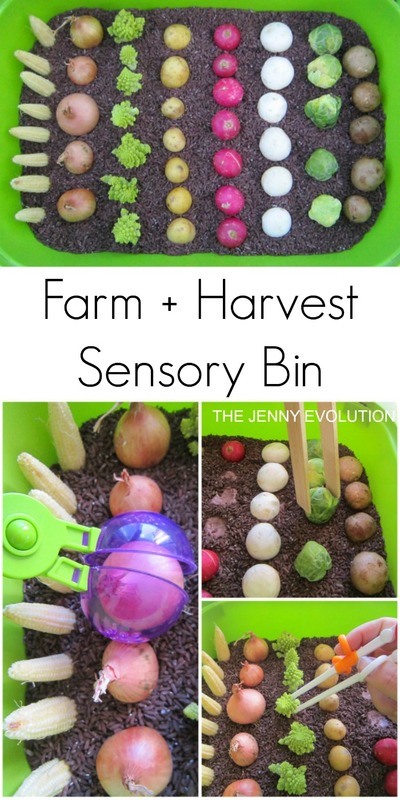 Every week there will be a NEW sensory activity. 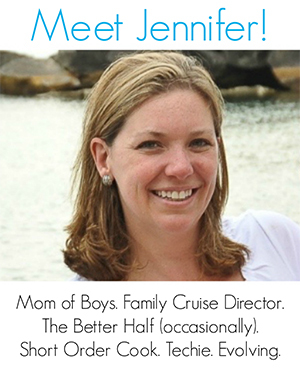 Be sure to bookmark or Pin this Page to find it easily! 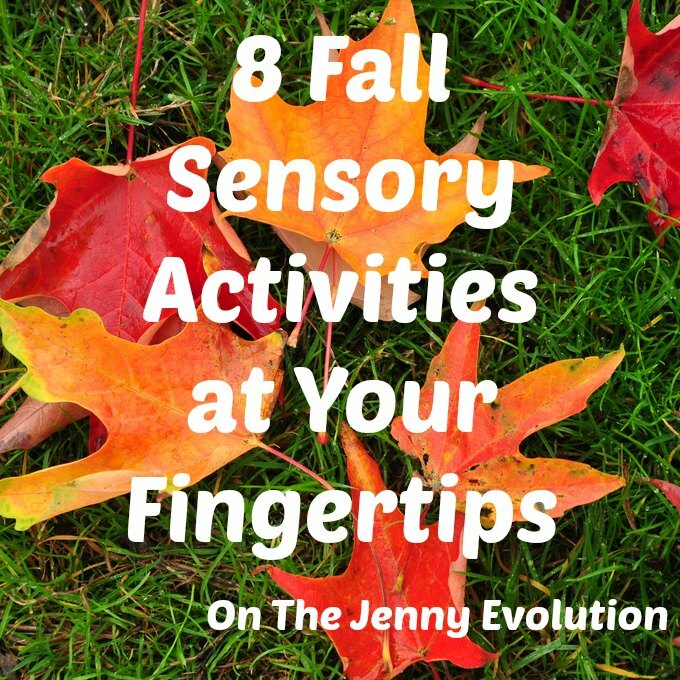 Why host a series of sensory activities you can do all fall? Because fall is chock full of natural sensory outlets. 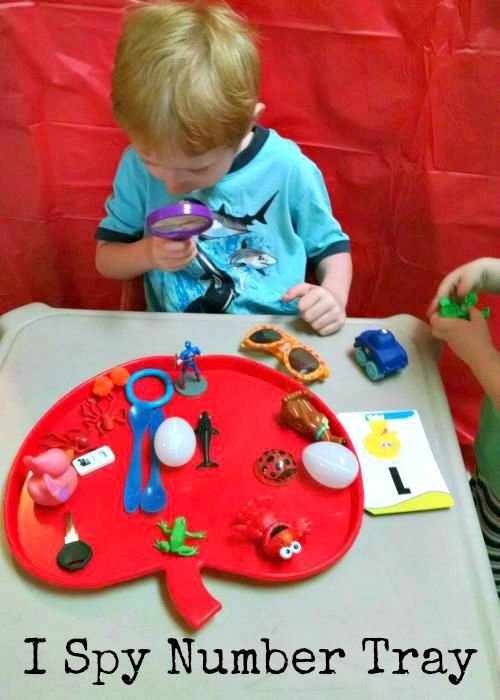 Whether you use this series to help build your child’s sensory system, give them a fun outlet or to help fulfill your child’s sensory diet due to Sensory Processing Disorder or Autism, you’ll find fun and easy sensory activities you can easily do at home! 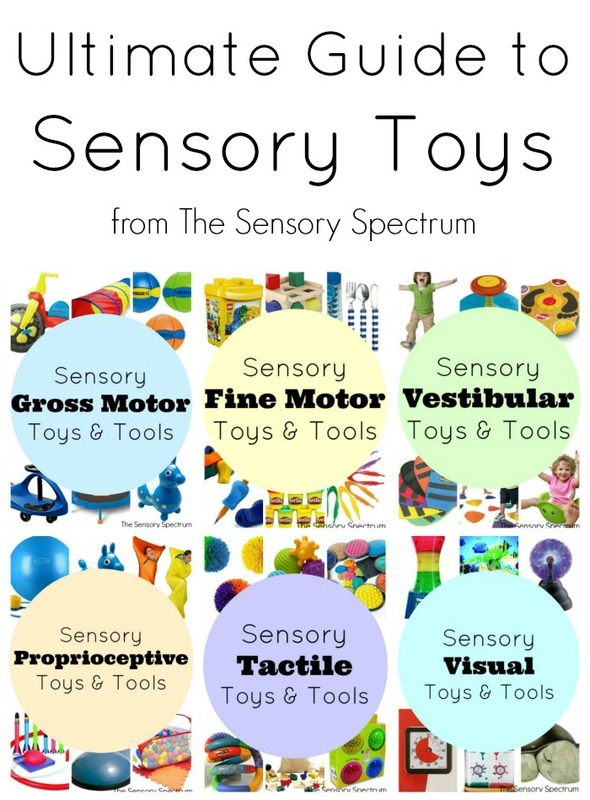 Follow The Sensory Spectrum’s board Sensory Fun! on Pinterest. 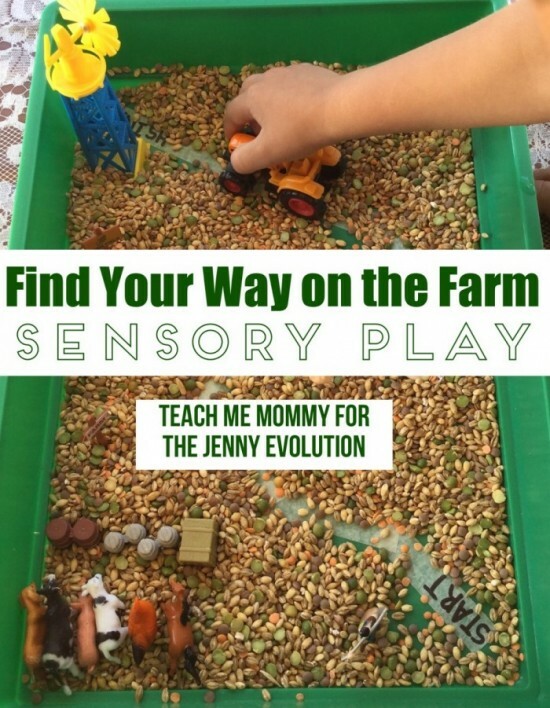 This post is part of a the sensory series hosted by The Jenny Evolution in partnership with The Sensory Spectrum. 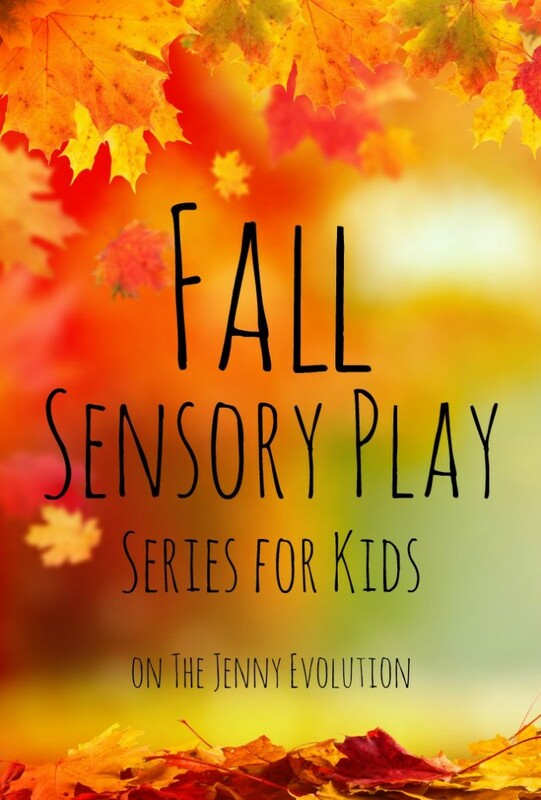 After this Fall Sensory Play series is complete, watch for more creative sensory series from fabulous bloggers on The Jenny Evolution! Just click on the following images to read the articles and tips! Aren’t these leaf prints beautiful? Your preschooler will love creating their very own leaf mesh painting and can easily do this! 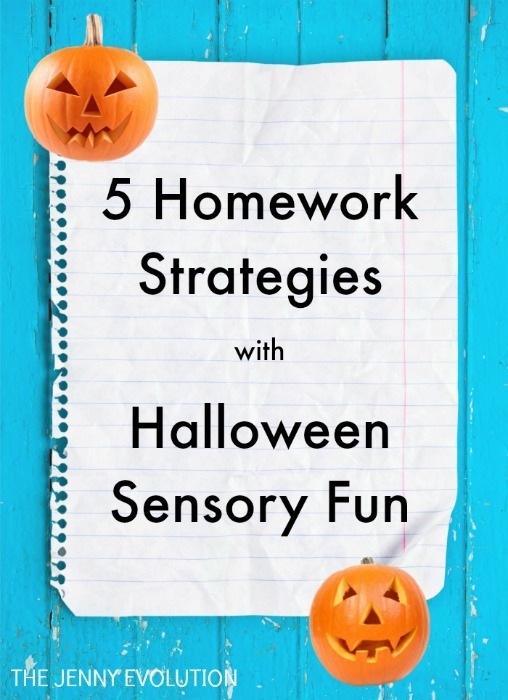 Get your kids working on their fine motor skills this Autumn! 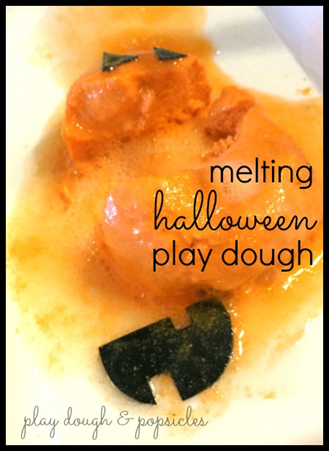 I’ve pulled together 20 wonderful Fall Fine Motor Activities. Fall is full of changing textures, changing colors, and changing temperatures. 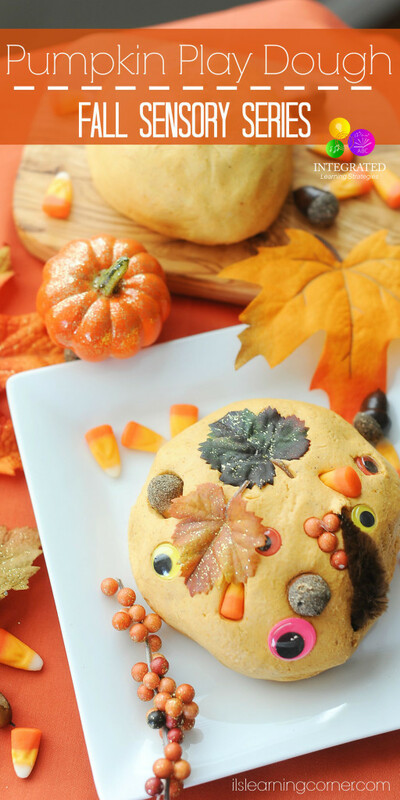 Children love to see all the changes of the seasons, and this Textured Fall Leaves Craft is a great way for preschoolers to capture and preserve these changes.